Bodh Gaya is a place in the state of Bihar in Gaya district and known for Maha Bodhi Temple. It is a place where Siddhartha became enlightened and thus called Buddha. Bodh Gaya is international heritage and pilgrimage of Buddhist religion come from around the world apart from tourist and people from other religions. The Hindu people, who are the largest in number in India, also come in large number to visit Bodh Gaya. Many Hindu ideologies consider Buddha as one of incarnation in Hindu mythology. This historic, cultural and religious place, so it attracts the tourists from around the world. In 2002, Mahabodhi Temple, located in Bodh Gaya, became a UNESCO World Heritage Site. Bodh Gaya and other places like Kushenagar, Lumbini, Sarnath and other places have significance importance, but Bodh Gaya is more important because it is the place where Siddhartha became Buddha or enlightened (about 528 BC). It is believed that 250 years after the Enlightenment of the Buddha, Emperor Ashoka build the original Mahabodhi Temple at Bodh Gaya. Bodh Gaya is not only a place of historical and pilgrimage importance, but also a place which provides many people the source of livelihood and employment. The street vendors, tour operators, guides, hotels, restaurants, auto rickshaw, charity organizations etc. all have the source of financial gain to exist and survive. One section of society which does not have much money like tour operators or hotels, but they also have source of livelihood from this world heritage. 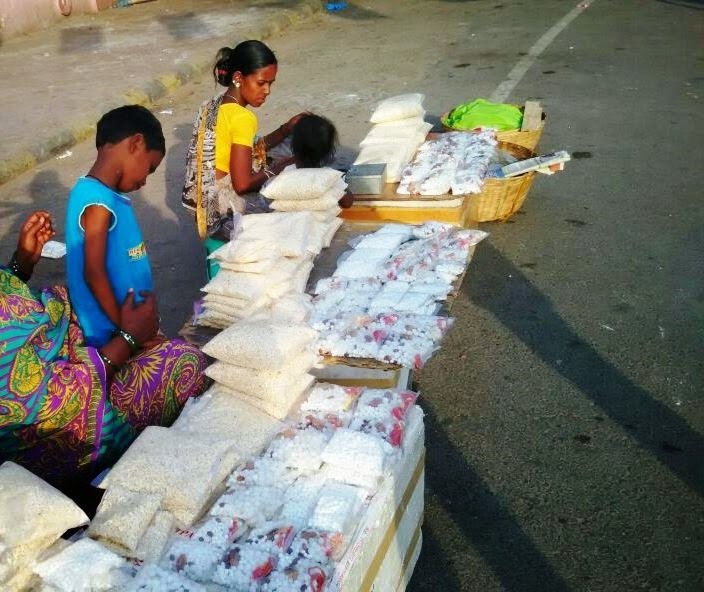 Flower sellers, sellers of many kind of offering (puffed rice) to Buddhist temples, beggars and destitute from around the villages also survive through this site. In the village area of Bodh Gaya, second marriage is common in schedule castes family. In Manjhi, Ravidas and Paswan, male and females do remarriage even without divorce, but mostly in Manjhi. After marriage the children from first marriage abandoned. Number of single parents is high in this region which is also a reason for street children. People mostly belong to schedule case and high low income, high illiteracy, very less lands for agriculture. Mahto is one of caste which comes under other backward caste and have agriculture land and their main source of income is agriculture, so children from this community are very few in number on street or as beggars. There are basically 3 kinds of street children in Bodh Gaya. One who comes part time to earn some money in the morning and evening, rest time go to school and stay with family in nearby village. The Second kind of children is with their family on street, begging with parents. Street is their life. The number of such children although less in off seasons. Some children whose parents are street vendors, who stayed with family and income is comparatively better to survive, few goes to schools many of them are also dropouts. As talked with NGOs personals, there is not any non-formal school near main temple area which runs for street children as part time. 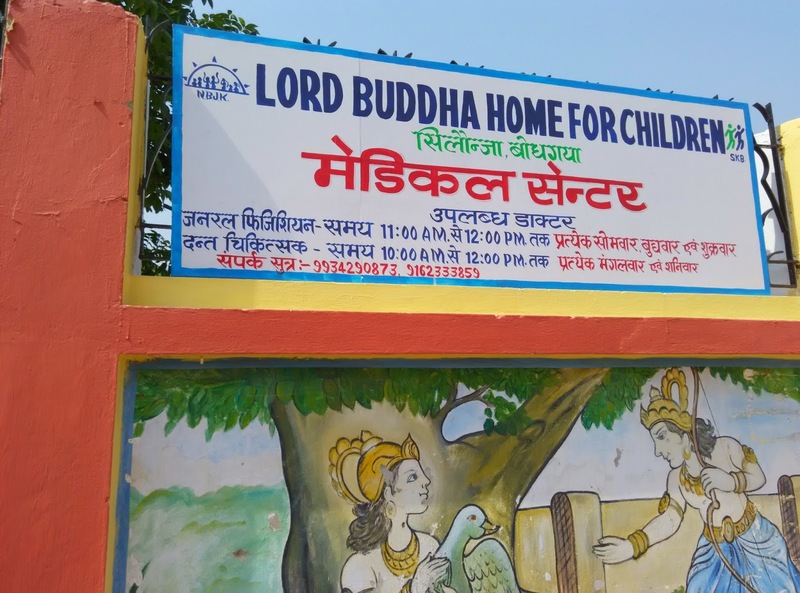 The number of street children varies as tourists and pilgrimage, in winter during Kalchakra period, Bodh Gaya is full of beggars, street children and street vendors due to high income opportunity. There is a home ‘Lord Buddha Home for Children’ some NGOs run by Nav Bharat Jagriti Kendra, an NGO with good infrastructure. It also provides vocational training to both boys and girls, like mobile repairing, computer, sewing, beautician etc. and shelter for such destitute children. It is situated at other side of Niranjana River in Silaunja village. There are 68 children in this residential school. It also has pathlabs, doctors twice a week and other facilities. Sakya Sujata Children Welfare Trust also run a school for poor and destitute children near Sujata village, Bakrour. Other NGOs also run such schools, but mostly to attract donations from foreign tourists as talk with few NGOs officials. The children from poor families of nearby villages like Taridih, Pachhati, Rajapur, Bakror, Sujata village and other can be seen in the morning and evening to earn some money from visitors. 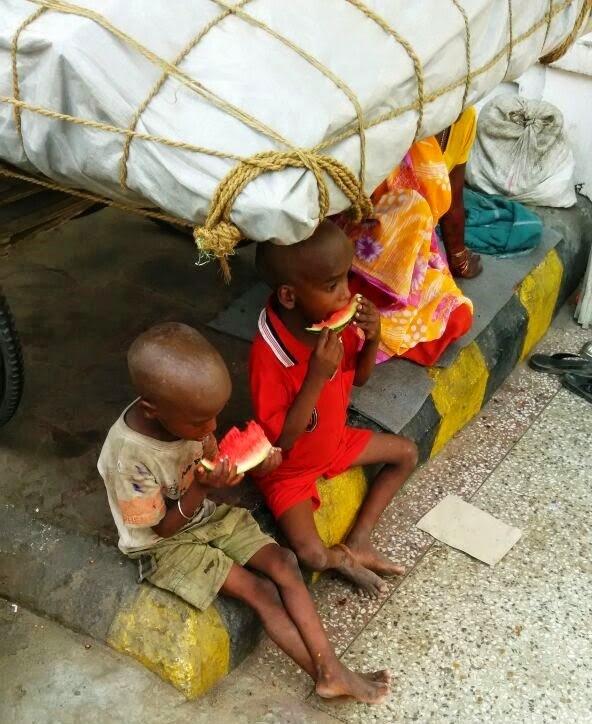 These children mostly from Manjhi, Paswan and Ravidas caste which comes under SC (schedule caste) in the state. There are also families who live on streets and survive on beggary. The children from such families do not go to school or attain any kind of non-formal education. They are also malnourished due to food which is mostly insufficient and non-nutrient.